If the Met’s massive retrospective and MoMA’s concurrent exhibition of prints aren’t enough to satisfy Picasso devotees this spring, they will fortunately have recourse to yet another venue: the movie theater. 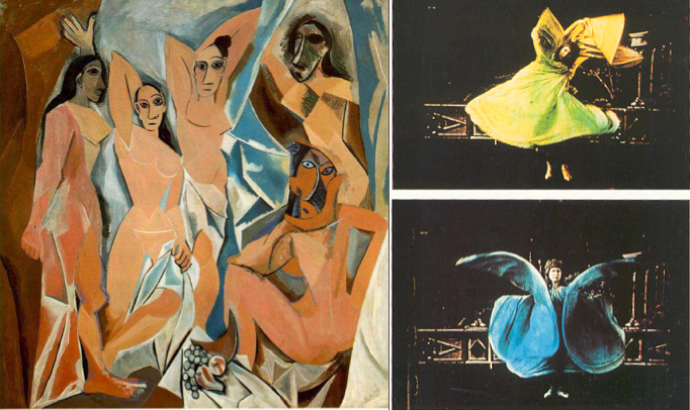 Adding fuel to the Picasso frenzy is Arne Glimcher’s documentary Picasso and Braque Go To the Movies, a short but incisive look at how two of art history’s most prominent figures were influenced by the revolutionary medium of cinema. Narrated by none other than Martin Scorsese and featuring interviews with scholars and artists alike, the film doggedly makes the case that moving images exerted a profound influence over the formal development of Cubism, inspiring Picasso and Braque’s invention of a new kind of pictorial space in which, like cinema, reality is viewed from multiple angles at once. 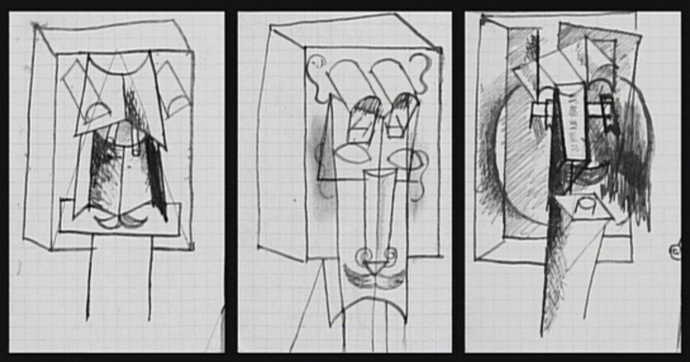 Occasionally disjointed, the documentary assembles an impressive stream of early film excerpts punctuated with plentiful examples of Picasso and Braque masterpieces (often shown side by side) that fell under cinema’s spell. Film fanatics especially will delight in the early actuality footage of the LumiÃ¨re brothers and the more fanciful, impish attractions conjured up by George MÃ©liÃ¨s. Interviews with artists, including contemporary heavyweights such as Chuck Close, Eric Fischl, Julien Schnabel and Coosje Van Bruggen offer intriguing analysis on the aesthetic links between cinema and Cubism, sometimes tying in their own artistic practice as well. (Eric Fischl, for example suggest that Cubist painters emulated cinematic projections by evoking a flickering light source at the edges of their canvasses.) However, those looking for an exploration of Picasso and Braque’s relationship will be disappointed: though the two artists (who were the undisputed Romulus and Remus of the movement) worked so closely together for a period of six years that some of their work was virtually indistinguishable from one another, very little is offered to explain their affinity and the equivalence between their work. The film makes the case that Picasso’s Les Demoiselles d’Avignon [1907} was inspired by the serpentine dance of LoÃ¯e Fuller. While the overall premise is of the doc is fascinating, at times the execution leaves something to be desired–at its worst moments, the film plays like an exceedingly well-researched Powerpoint lecture. Rather than allowing the images to construct a vivid sense of the particular correspondences between Cubism and early cinema, the film is overly insistent of its argument, resorting to large-scale generalizations and weak suppositions. However, those that don’t mind its boilerplate History Channel approach will appreciate this in-depth study of the compelling intersection of art and film at the turn of the century. 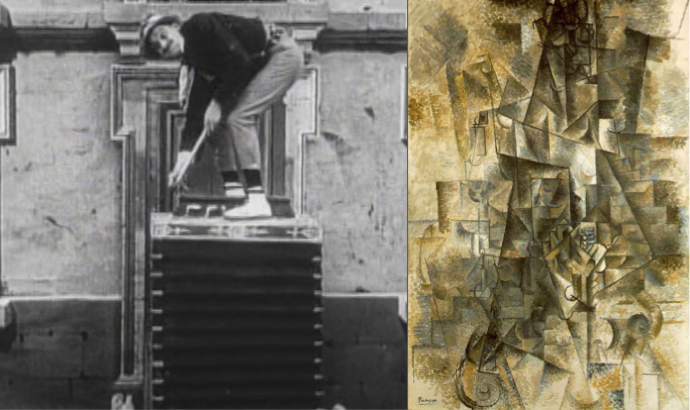 A still from “The Accordion” [PathÃ© FrÃ¨res, 1906] and Picasso’s “The Accordionist” , underlining the conceptual similarity of early cinema and Cubism. Picasso and Braque Go To the Movies is currently playing at Cinema Village in New York, NY.